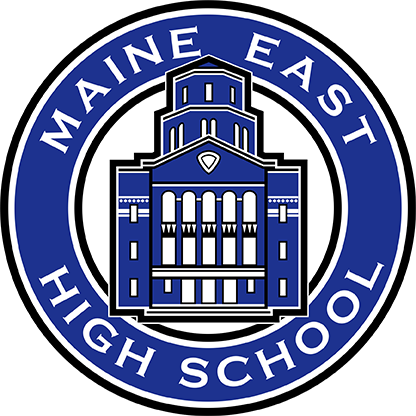 Maine East High School Teacher Judy Tyler was recently named a teacher finalist for the prestigious Golden Apple Awards for Excellence in Teaching. For the first time in the history of the organization, the award eligibility boundaries were expanded to include all of Illinois. Following a highly competitive process, 32 high school educators were selected as finalists for the award – just six percent of more than 550 nominations. “Golden Apple is honored to recognize outstanding educators whose quality of teaching and passion for growing their students create an environment in which students are inspired to persevere and attain their dreams,” said Alicia Winckler, CEO of Golden Apple. The Golden Apple Award for Excellence in Teaching honors outstanding teachers for their roles in having lasting, positive effects on students’ lives and builds stronger communities. Teacher finalists demonstrate — in their teaching and results — significant, positive impact on their students’ growth and learning. Fellow educators, students, parents and community members nominate teachers for the awards. Teachers may not self-nominate. All award finalists will be honored on Saturday, February 23 at the Golden Apple Celebration of Excellence to be held at the Tinley Park Convention Center. Event details and tickets are available at www.goldenapple.org/celebration. Award recipients are selected by master educators who understand and recognize instructional best practices and who utilize professional standards to evaluate exemplary teachers and school leaders. Members of the selection committee viewed video evidence of instruction and will observe finalists’ teaching in-person in their classrooms – a comprehensive day which includes direct observation of in-classroom teaching accompanied by interviewing finalists’ colleagues, school leaders, students, parents, and community members. The finalists for the Golden Apple Award for Excellence in Leadership, presented in honor of founding Golden Apple board member Stanley C. Golder, will be announced Thursday, February 7. The selected award recipients will be featured on a Public Broadcasting Service (PBS) one-hour TV program. The livestream of the show taping will air on Golden Apple’s Facebook page on May 18, 2019 and the edited PBS broadcast will air on multiple future dates. As a highly-valued component of this recognition, Northwestern University, Golden Apple’s partner for more than 30 years, generously provides a Spring Sabbatical to award recipients at no cost. In addition, each Golden Apple Award for Excellence in Teaching recipient receives a $5,000 cash award. Award recipients also become Fellows of the Golden Apple Academy of Educators, a community of educators who support current and future teachers and deepen the learning of students. An important part of a Fellows’ mission is to share their expertise and mentor Golden Apple Scholars, who are aspiring teachers with a desire to teach in Illinois’ schools-of-need. “Both Northwestern and Golden Apple are dedicated to developing teachers who will transform the lives of their students and we are proud to host these master teachers on the next step in their professional journeys in education,” said Timothy Dohrer, Ph.D., Director of the Master of Science in Education Program at Northwestern University’s School of Education & Social Policy.